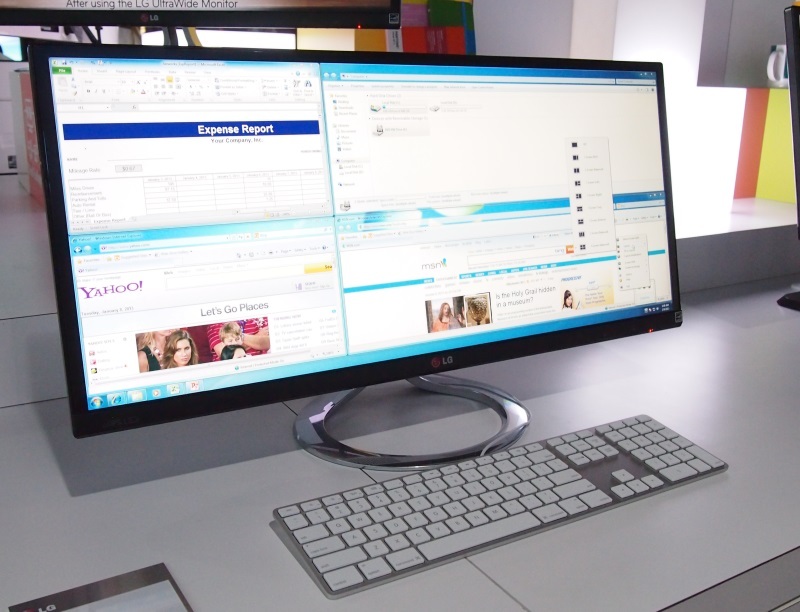 People has been captivated by the appearance of ultrawide monitor, and begin to replace the use of two or three monitor side by side. As its name, the wideness is extra. If the usual monitor has 16:9 ratios, it has the ratio of 21:9. With the wideness, it allows the users to experience a new approach in using technology. In addition to that, the resolution can reach 2560p or 3440 p by 1080p or 1440p. This monitor gives some benefits for the productivity as well as gaming for the users. What are they? During doing work, not only one time that people need to open the same file in the same time such as document, excel, and browser. Some people who have dual monitor will have different file which is opened in different monitor and use different pointer. However, in ultrawide monitor, all the file can be open together in one monitor only, yet the users must arrange the files by themselves. Using on pointer, the users can switch different files efficiently. In terms of maintenance, taking care of one monitor also will be simpler than handling some monitors in the same time. The price of this monitor may be still higher than the ordinary monitor, but it will be more efficient than buying some monitors in average. Entertainment can cover watching movie to gaming. Ultrawide monitor surely will satisfy gaming fans since it will give a wide display of the game. The wideness of 29:9 will make an incredible overview to the gaming experience. Moreover, the users will not need to have multiple graphic cards and processing chips. Although not all game has been prepared for the graphic quality of this monitor, there are already some popular games that allowto set their own graphic resolution based on the needs. The ratio of this monitor is similar to traditional movie theater. The users can change the living room into a mini cinema while enjoying the movie.